Located in the southwest corner of Ottawa County, Upper Macatawa Natural Area is an excellent example of what cooperation among agencies and environmental groups can do to save and restore wetlands and other natural habitat. 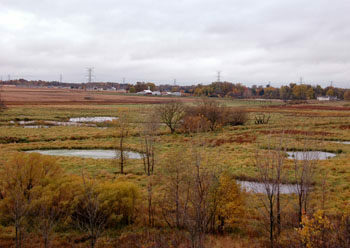 The 612-acre park is split in half by the Macatawa River and, despite being within view of an interstate highway, has become a natural oasis that attracts an array of birds and waterfowl to its many pools and wetlands and hikers, birders and cross-country skiers to its 6.5 miles to trails. A campaign to protect the Upper Macatawa River began in the mid-1990s in an effort to preserve open space and re-create wetlands to address water quality problems. The first parcel was purchased by Ottawa County Parks in 2000 and the bulk of the preserve, the 325-acre Geerlings Farm, was added three years later. Groups ranging from the Macatawa Greenway Partnership, the Holland-Zeeland Community Foundation and U.S. Department of Agriculture to Ducks Unlimited and the Holland Audubon Society worked together to raise funds, acquire additional lands and create a 140-acre mosaic of wetlands and wet meadows. 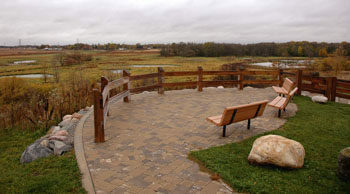 The preserve was officially dedicated in 2008 and by then already offered a variety of outdoor recreation facilities and year-round opportunities with more to come in the future. In an area blessed with as much natural beauty as Ottawa County, including spectacular Lake Michigan sand dunes, Upper Macatawa is not one of its crowning jewels. 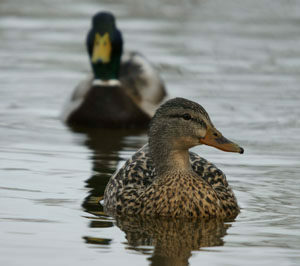 But the area can be a scenic hike, particularly in the fall and during spring migrations. It’s barrier-free paved path from the 84th Avenue trailhead is an excellent trail for birders confined to wheelchairs. 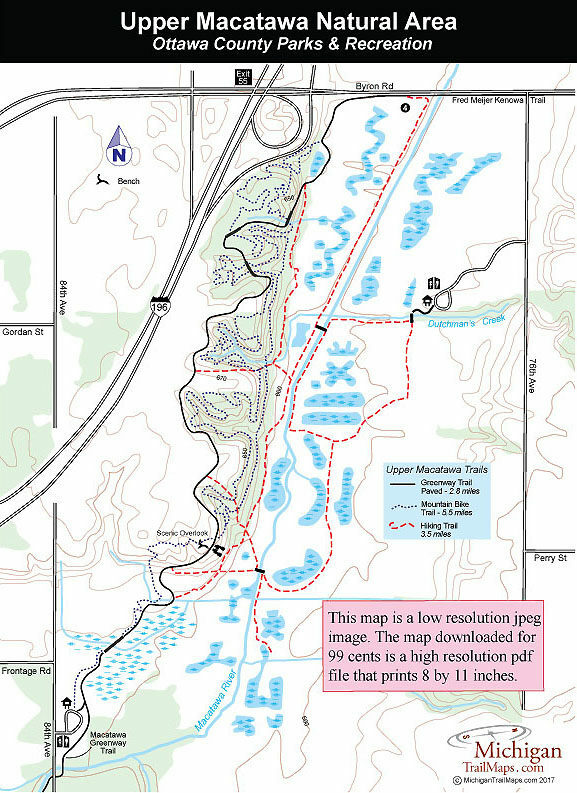 The main parking areas and trailheads are located off 84th and 76th Avenues and from both there are natural loops with various crossover spurs. The 2.4-mile loop from the 84th Avenue parking area is by far the most interesting and includes the paved barrier-free stretch and a viewing area overlooking the many pools that dot the Upper Macatawa River floodplains. Keep in mind that mountain bikes are not allowed in the natural area and that the trail between posts No. 5 and No. 11 on the east side of the river is often excessively muddy due to seasonal wetness. At times like that it can be difficult to follow. The trailhead parking areas are off 84th and 76th Avenues and feature parking, vault toilets and information kiosks. The Upper Macatawa Natural Area is open 7 a.m. to 10 p.m. from April through October 31 and 7 a.m. to 8 p.m. the rest of the year. There are no vehicle or entry fees. The Upper Macatawa Natural Area is located in Zeeland Township. To reach the 84th Avenue trailhead depart I-196 at exit 52 and head east on Adams Street and then north on 84th Avenue. The 76th Avenue trailhead is reached by departing I-196 at exit 55and heading east on Byron Road on 76th Avenue. Contact Ottawa County Parks and Recreation Commission at (616) 738-4810 or www.miottawa.org/parks.